Note: This is not a review. This is just commentary on a potential problem I noticed with current anime, that I notice is exemplified by this show. When outsiders think of anime, it's often in reference to what about it is exaggerated or unrealistic. Big, implausible hair. Impossibly cool outfits. Unrealistic but neat-looking weapons and gadgets. Magic. Big explosions. And of course big acting, a use of dramatic music that can sometimes border on silly, big eyes being used to convey big emotions. But for this viewer, the best thing about anime lies with its quieter, more subtle moments of realistic, human-feeling emotion. The fireballs, magical transformations, and giant robots are simply a vehicle to tell a story that, if good, is rooted in that emotional depth and subtlety. And then I saw Magical Girl Site. This show crashed into my television with about all the subtlety of a rampaging Charizard. So here's why the show falls into a trap where its lack of subtlety undermines its storytelling capacity. I also feel a need to talk about this as a general problem I've noticed with a lot of more recent anime, even with anime I've liked. It's part of why anime of the 80's through to the early 2000's feels different from anime produced more recently. 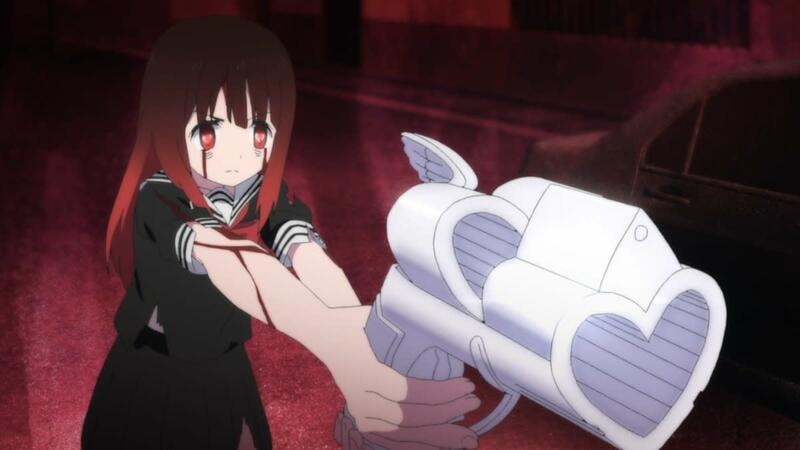 So what's so wrong about Magical Girl Site? What do I mean by exaggeration or a lack of subtlety? I mean that characters are never just a little mad, they're murderous. They're never just a little sad, they're always weeping on the ground uncontrollably. They never just dislike someone, they have to actively want to take them out. Exaggeration also means facial expressions are always bigger and louder than anything even close to resembling real life. Tears come out in gigantic, ugly globs. Faces contort in rage. Someone's entire body will shake in anger at the smallest slight. All of this can be funny when done for comedic purposes in a show that is meant to be entirely comedic, like Shin Chan or Azumanga Daioh!. Or, you can show one character acting like this as evidence that they are psychologically unbalanced. For example, that cult guy in Re:Zero. He had crazy, over-the-top body language, posture, emotional expressions, and facial expressions because, well, he was crazy. Everyone else reacted more or less realistically to things. 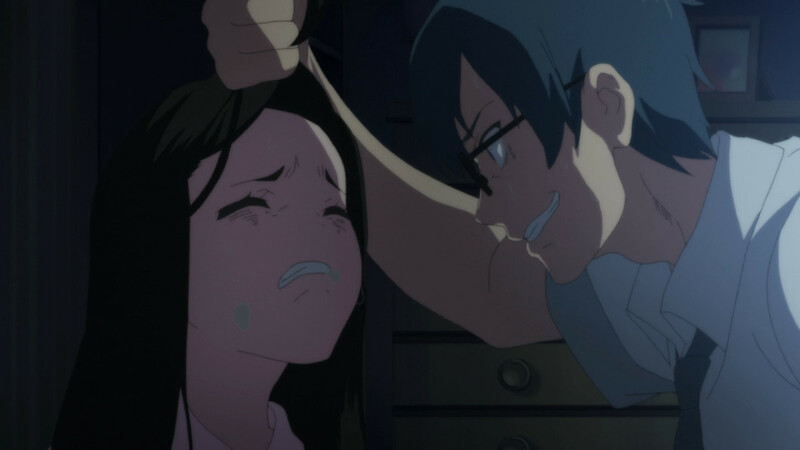 But in Magical Girl Site, every character is constantly outpouring emotion in an over-the-top way, all the time. Even quieter characters can express extremes of anger or fear when pressed even slightly. One character keeps biting her own thumbnail off in sheer rage. Ouch! The main problem with this kind of animation is that, in emphasizing everything, they emphasize nothing. It's like reading a paragraph written in ALL CAPS! WITH LIKE! TONS! OF EXCLAMATION! POINTS! When you stretch emotional outbursts to such extremes, your characters also stop feeling realistic, like they could be real people. This breaks your audience's suspension of disbelief. Quick: Name a character in Magical Girl Site who doesn't have a heartbreaking back story! No, I get that it's the point of the story that they all do. That is why they get powers. But they all seem like they are trying to one-up each other. Whenever a new character is introduced, we see her pain; either that which others impose on her, or that which she imposes on others. Then the show feels like a carnival sideshow, parading various characters' emotional and sometimes physical torture as if each one were trying to do it bigger and bolder than the last. No character stands out because each character goes through some kind of extreme. 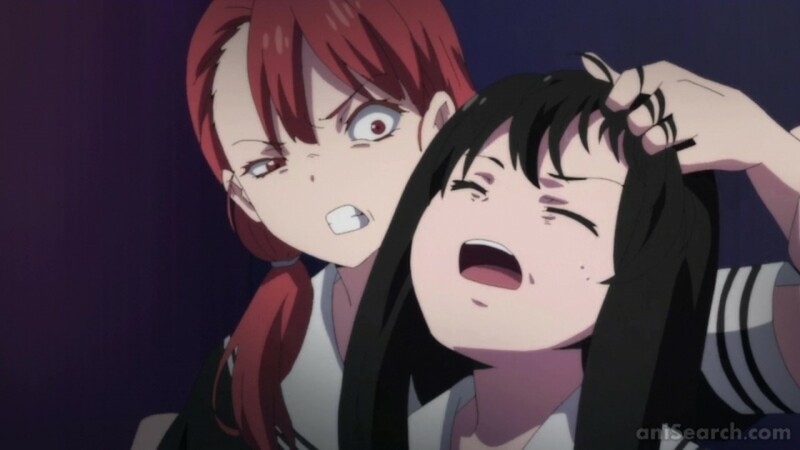 And as with facial expressions, when everything is always extreme in a show, nothing stands out as unique or special. It effectively makes all the characters merge into one awful back story. And then you get the problem of darkness-induced audience apathy. That's when a show is trying too hard for a tragic tone, causing us to stop caring about what happens in the story. This happens clearly with the main character. 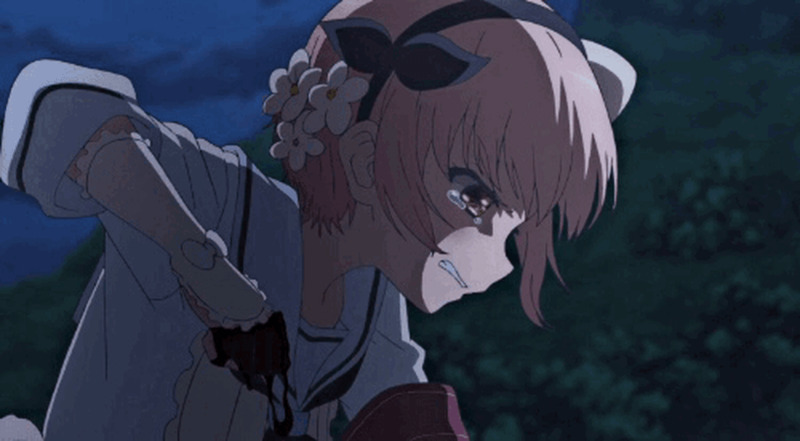 We see Aya get bullied and hurt so many times that each scene loses its ability to stand out emotionally. Her life becomes a simple series of tragic grey mush, with every sad event merging into every other in our minds, forming an unsightly blob. We get to where we expect bad things to happen to the main characters, to where we no longer feel anything when that happens, because we saw it coming a mile away. ... a story is simply too bleak, hopeless, and...well, angsty for the audience to really care what happens. Leaving aside how obviously and overly depressing this is to read; even if there are true, clear-cut good guys, if they are doomed to failure no matter what they do, and it is too obvious that they are doomed and their every action to avert this is pointless and hopeless, ... so why bother continuing on with the story? 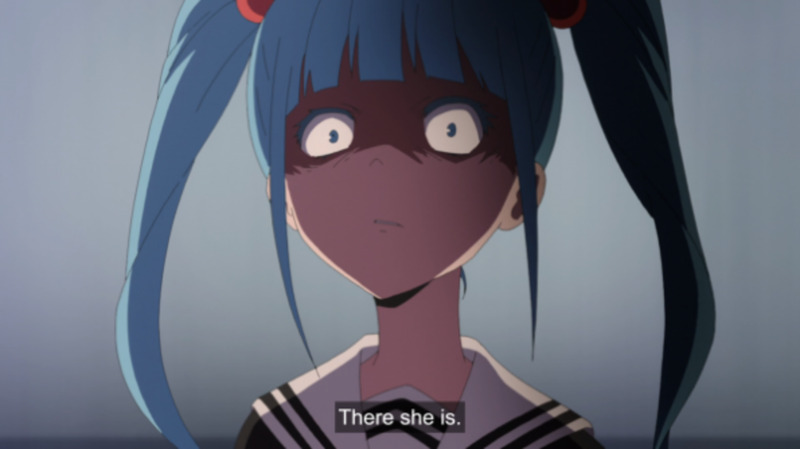 — TV Tropes, "Darkness-Induced Audience Apathy"
The whole reason I got into Magical Girl Site was because I keep hoping to find the next Puella Magi Madoka Magica. That is, the next series that will show the traditionally cutesy and childlike magical girl genre in an emotionally weighty, mature-feeling way. But so far, I'm seeing mostly wannabes, who are trying to be that and failing. Darkness is not by itself the same thing as maturity. People like darkness in a plot because they like feeling that they are mature enough to handle icky subject matter like say, bullying or suicide. But having those edgy subjects in a show is not enough to in fact make it mature. The real trick is to handle whatever subject matter is in the story, however mundane, in a mature fashion. That's what makes a show less childish and more mature. For example, take Daria. That show just had the usual TV teen drama bull crap that you might see on any teen drama show or movie from the 90s. Nothing, aside from a rather ill-advised paintball field trip, actually takes place that can be described as that dramatic, shocking, or extreme. But what makes the show cool is, it is capable of creating mature conflict out of very mundane situations, such as a school field trip to a gigantic mall, or a medieval fair fundraising event. Each of these events is a way to showcase differences between characters (different characters react differently to the same event) and a way for our titular heroine to get in some quality sarcastic digs at some aspect of modern life. Daria and Jane don't cry big globular tears, and the popular girls' eyes don't glow menacingly like those of feral cats. No one was going to kill anyone over say, their choice to get a nose job or their reaction to news about the death of a beloved ex-quarterback who also happened to be kind of a jerk. The characters are presented as human and, for the most part, are never exaggerated beyond what feels like ordinary humanity. Contrasting that with Magical Girl Site, you can see where it goes wrong, everywhere, is this lack of subtlety. This lack of emotions that seem real or plots that seem realistic. Everything seems overly dramatized, baroque in art theory terms. Or you might say, hysterical. I can't see how those characters remind me of people I know in real life. They don't feel like anything but fictional characters. That's what Miyazaki meant when he said otaku (which in Japanese is a far harsher term than how it has come to be used as by anime fans in the West) should not be writing anime. What he meant is, anime based only on anime is dead. 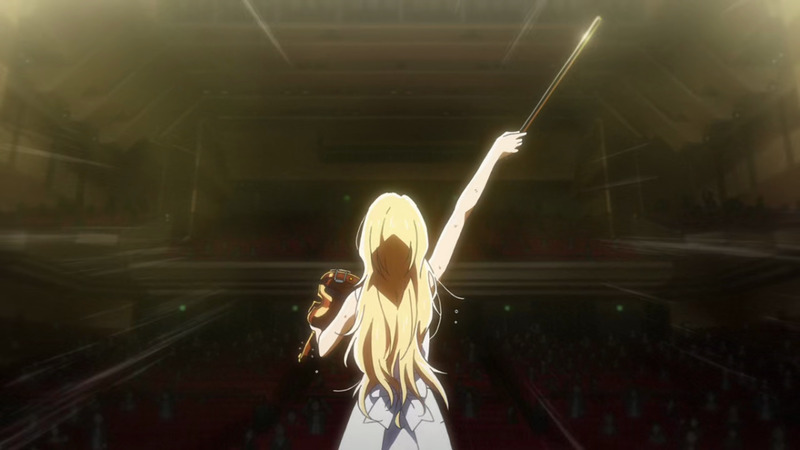 For anime to be good, it has to bear resemblance to life. Containing fantastical elements, impossibly beautiful women, giant robots, etc., does not change that. On a fundamental level, the story should still feel human. Miyazaki and other artists at Studio Ghibli understood how to do this, and did it well, for decades. But Miyazaki clearly saw how some of his colleagues in the anime business were not doing this so well. And it is a current problem in anime that anime is made based on anime, about anime fans, and containing a gratuitous amount of anime references and in-jokes. What I really hope to see in the future is anime that is made for humanity as a whole, with the universality you see in the best anime. And pulling that off will require animators dial it back a bit with the crazy facial expressions and the wacky bodily reactions. Just a bit. You don't need that exaggeration to make a story good, and too much over-dramatization can hurt a story that would otherwise be very good. Too much of that nonsense implies that the author wasn't confident enough that the meaning of their story would get across, that the emotions in their story would resonate emotionally with audiences. That lack of confidence in one's story, and by extension, one's storytelling abilities, is a mark of an amateur author. 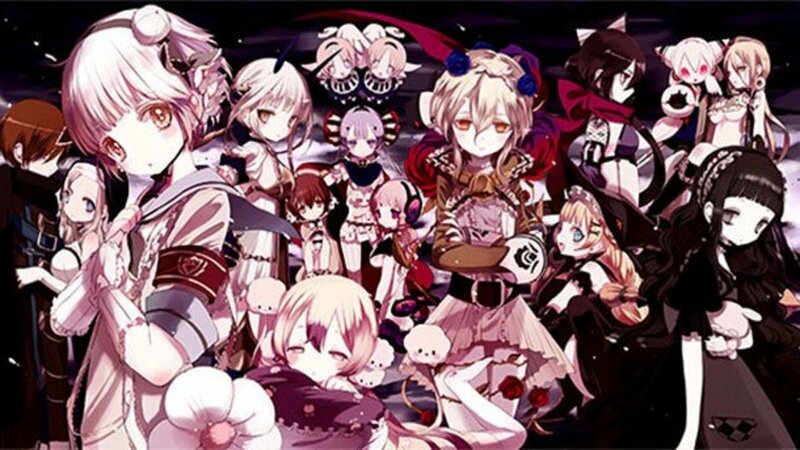 In a way it reminds me the 2014 anime Akame ga Kill, which like Magical Girl Site to the MG genre, was this rather tasteless, edgy take on the shounen genre, going straight for this thick, bloody and gore-y style with plenty of shock-baiting scenes and deaths that in the end were nothing but senseless and devoid of emotion. At the very least, it had entertaining action scenes and decent animation, I guess; from the little I've seen so far, 'Site' seems to lack even that. Yeah, and it's clearly just trying to be edgy. Trying to shock, but gives no other value to the viewer for watching it. Even similarly dark and weird 'Shadow Star Narutaru' was at least sometimes of philosophical interest. And had creative monsters. And had not all characters be the same kicked dog type. 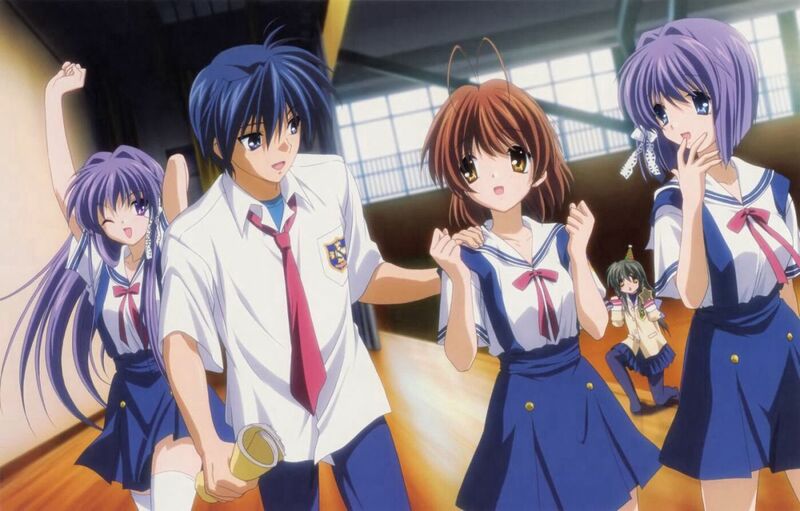 That means, even one of the worst animes I've reviewed on here is still better than this. Sad. 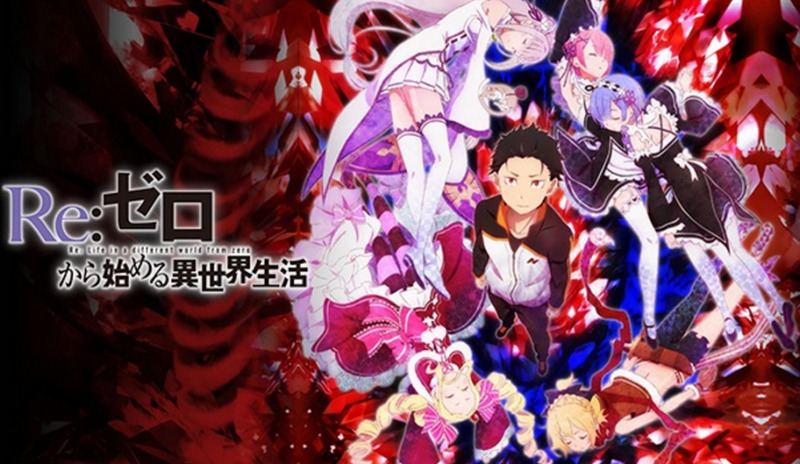 I first heard about this series in one of Gigguk's videos, stopped it for a moment and let out, "jesus, this series is edgy as hell." No subtlety here, only meaningless pain and torture, it seems.